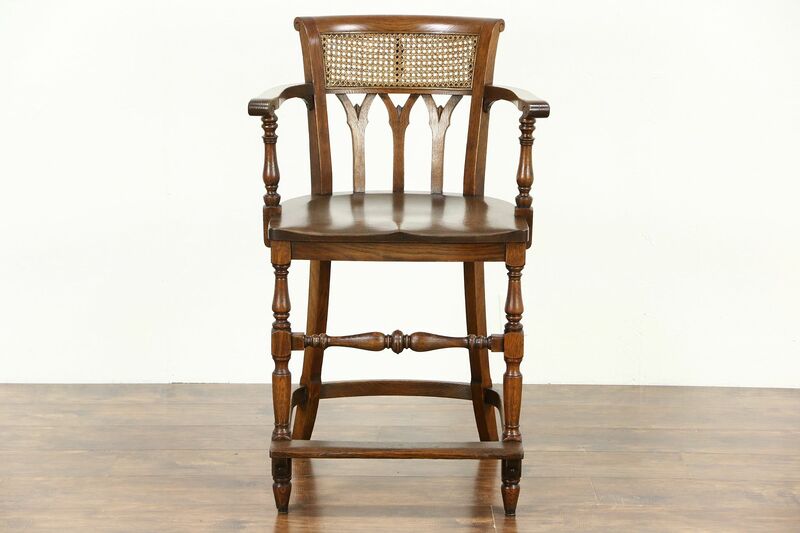 A raised or elevated pool hall or billiards height chair from about 1910 is solid quarter sawn oak. The restored finish is in excellent condition on this superior quality American made antique furniture. The frame is tight and strong, the sculpted seat is comfortable and there is a foot rest. Dimensions are 25" wide, 26" deep, 39" tall, the large seat is 24" high and 19" deep.